How a salt-of-the-Earth Midwest manufacturer learned to butter up customers and see its sales explode. Today, concession sales often account for as much as 40 percent of a movie theater&apos;s profits. But popcorn wasn&apos;t always welcome at the movies. Popcorn vendors of the late 19th century weren&apos;t the most respectable folk. They simply went to where the people were, whether on the city street or a noisy outdoor gathering like a county fair. When movie houses started opening up across the country in the early 1900s, opportunistic popcorn vendors would often park outside—to the chagrin of theater owners left sweeping up the treat&apos;s messy leftovers that always wound up on the theater floor. A small Indianapolis manufacturing company started to change popcorn&apos;s dicey reputation with theater owners. In 1914 the Holcomb & Hoke Manufacturing Company started making popcorn machines, most designed exclusively for use indoors and running on electricity rather than steam (which was seen as dangerous to use inside given the open flame). 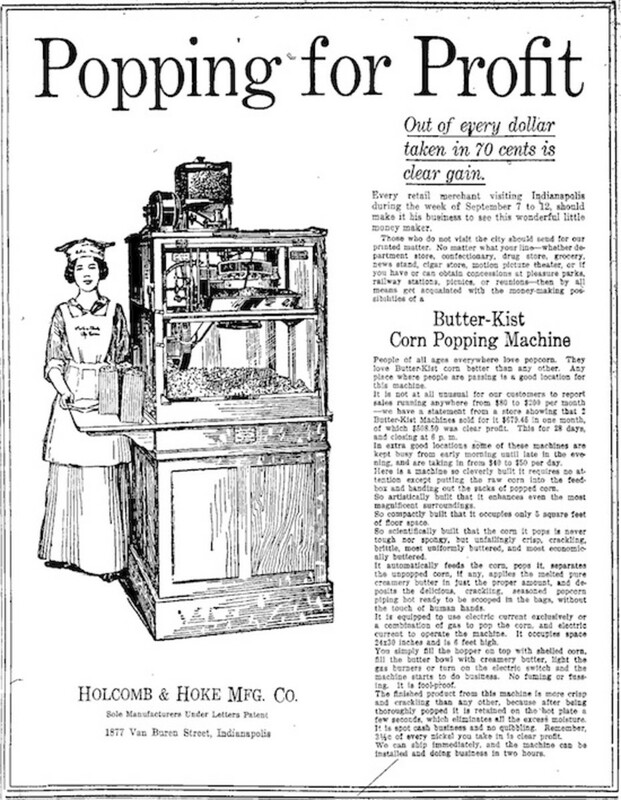 Holcomb & Hoke thrived by allowing retail stores and theaters to sell popcorn as a low-overhead sideline business; but its true genius was making popcorn machines respectable through smart direct advertising. The company advertised in its local Indianapolis newspapers (below) and within a few years was buying ads in national magazines like Popular Science; it also helped bring an air of professionalism by bothering to extensively train its commissioned salespeople. 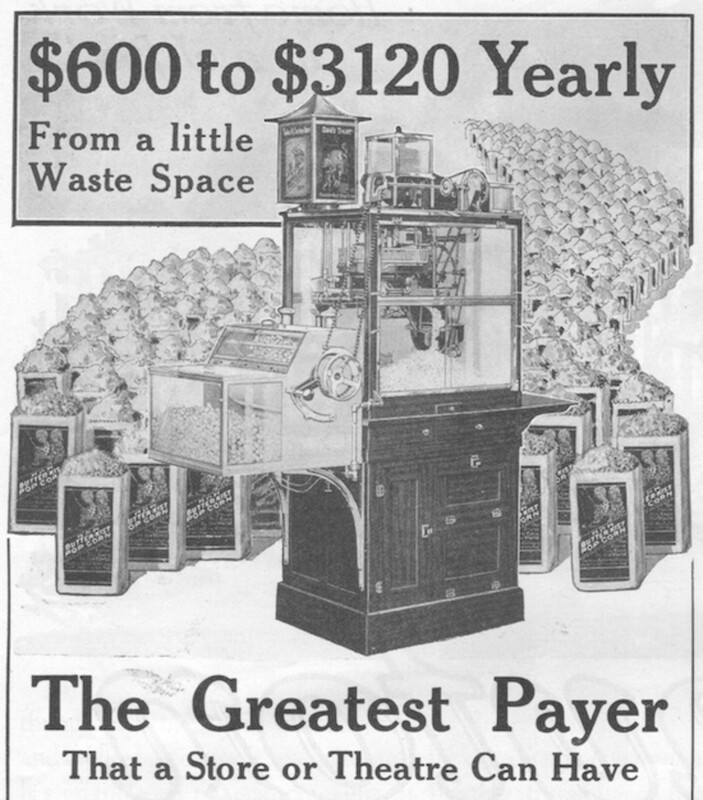 The company was so proud of its sales techniques that in 1915 James Holcomb produced a book titled, Salesology of the Butter-Kist Popcorn Machine. 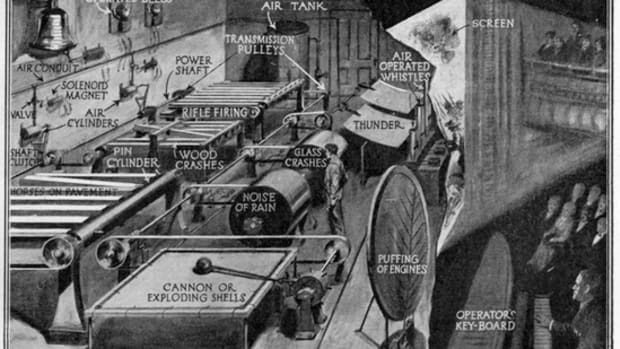 And there was something to write about; by 1919 the company&apos;s Butter-Kist popcorn machines were producing 120 million packages of popcorn a year. 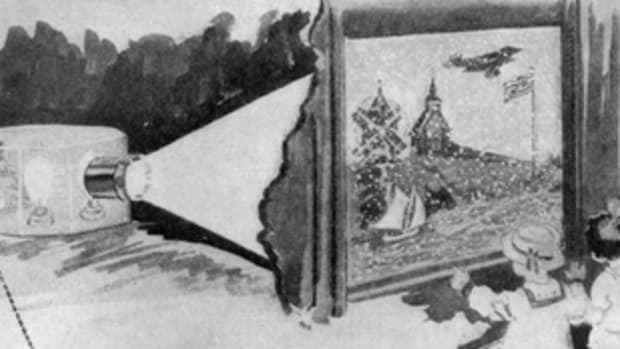 In their 1920 catalog Holcomb & Hoke claimed to have rescued the popcorn industry from the clutches of disreputable street vendors: "the class of men that run such places on the street is thrown around their popcorn carts with a gust of wind." The Depression cooled Holcomb & Hoke&apos;s popcorn popper business and it stopped manufacturing the machines in 1934. Today, the name Butterkist may be better known in the UK, where the brand lives on. 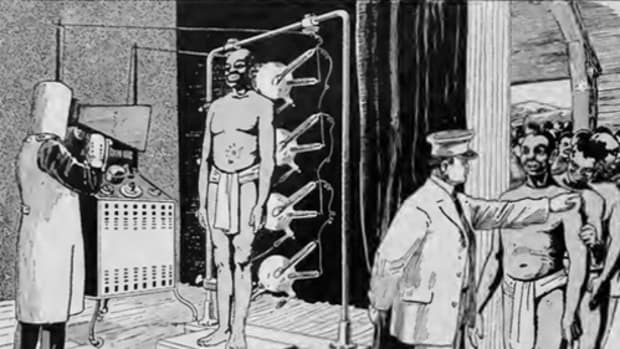 One mine in 1919 South Africa had a foolproof way to see whether its miners were smuggling out raw diamonds: it gave them a radiation-laden scan at the end of every shift. The taser has proved a popular modern way to subdue a suspect, but in 1930s New York the men in blue were a little more shockingly hands-on in their approach. Who Owns the Books You Read? The Supreme Court may soon rule on how the first sale doctrine applies to textbooks. But what about the ebook on your iPad? Who owns that? 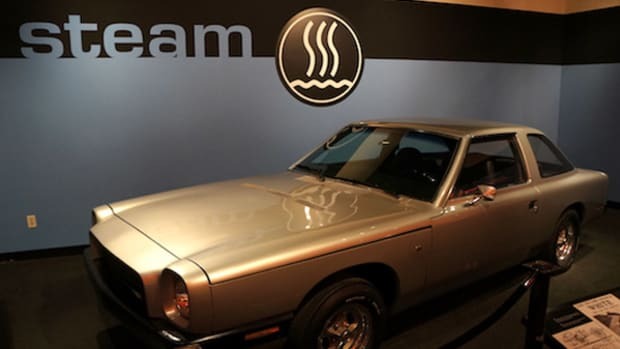 Steam-powered cars may sound like a shout-out to the early 1900s, but in 1970s California the idea was building up a real head of, umm, steam.